In the race of messaging applications, WeChat is prominent and facilitating its users from all prospects. 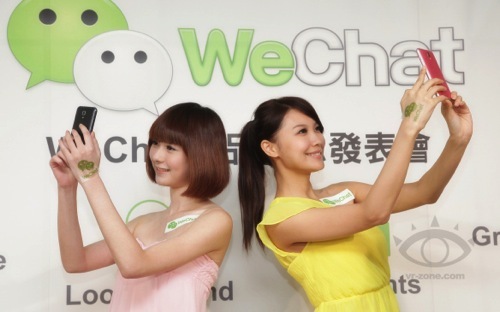 Messaging application, WeChat now has crossed 50 million benchmark of active users. Tencent (Company ,which developed WeChat – Weixin), didn’t provide any information regarding the percentage of users according to their locality. As other major rival applications like WhatsApp have vast international exposure as compared to WeChat because WeChat has major popularity specifically in China. Tencent revealed the growth rate of the application in terms of MAU’s. Analyzing from statistics, it is clear that WeChat lost its popularity in first 3 quarters of 2014 but was able to shoot and maintain the growth rate to 6.8 % in late 2014. That phase helped WeChat to reach 500 million benchmark. Having said that, It is important to know that, Whatapp, no. 1 messaging application, had crossed 700 million users line on the start of year 2015.